BenQ Pro Designer Monitors are some of the best options in the market when high-quality displays with excellent image quality are required. The brand is adding two new models named the BenQ PD3220U and the BenQ PD2700U. Both monitors high-grade 4K IPS panels that promise superb color fidelity which is crucial for editing and design applications. 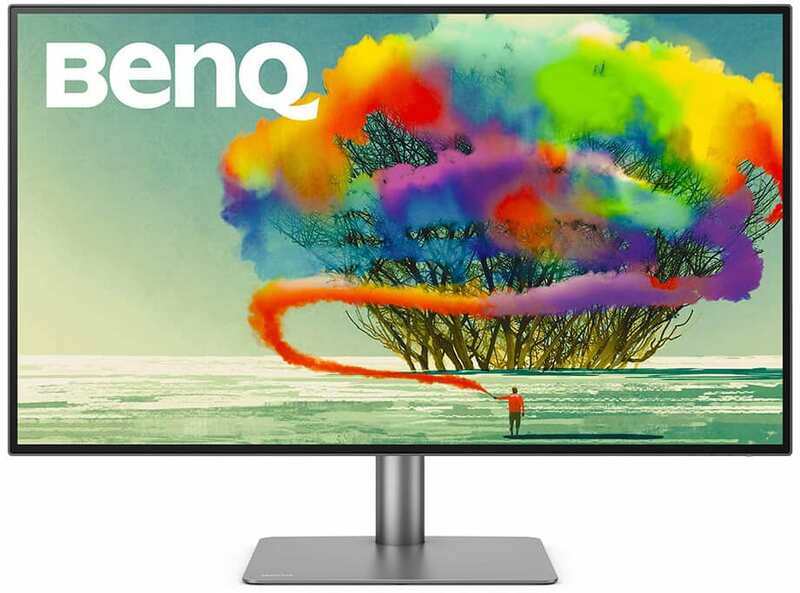 The BenQ brand is producing esteemed and highly-recommended monitors for both gaming and professional markets with satisfying results. The brand is involved in the E-Sports business, providing high-performance displays for professional gamers who want the best of the best. On the other hand, the brand also includes cream of the crop displays for professionals who want the best color accuracy and image quality to ensure their creations do not suffer any compromises. Monitor design is another aspect BenQ monitors are consistent at the top of the food chain. The brand’s creations focus on functionality more than aesthetics, resulting in minimalist products that are optimized for the user’s comfort. This treatment along with solid build quality across the line makes their offerings pricier, but worth it almost every time. The BenQ PD2700U is a reasonably-priced midrange monitor designed for creators who want a functional monitor that won’t break the bank. This model carries a 27-inch IPS panel with a 3840 x 2160 4K UHD resolution and a 60Hz refresh rate. Other specifications include an extended 1300:1 contrast, 350cd/m2 backlight and a 5ms response time. The BenQ PD2700U focuses on 100% sRGB gamut reproduction with spot-on accuracy, making it suitable for work on RGB media such as online images. The panel comes with 10-bit color depth support, along with useful presets that can maximize the product for typical work applications. The menu includes CAD/CAM, Animation, and Dark Room modes. This model is advertised to ship with factory calibration, although there is no mention that it is compatible with hardware calibration. However, we are confident that the PD2700U will be easy to tweak and control via BenQ’s OSD which has been user-friendly based on our experience. The BenQ PD2700U sports a design similar to the BenQ Pro Designer PD2500Q that involves a sleek, matte black exterior with clean lines. The screen is almost bezel-free which maximizes the viewable area while adding a beautiful aesthetic to the product. The only characteristic we dislike is the PD2700U’s use of OSD buttons instead of the S-Switch remote found on the upmarket variants. The BenQ PD2700U’s connectivity layout includes DisplayPort 1.4, Mini DP 1.4, and a single HDMI 2.0 slot for video inputs, along with four USB 3.0 slots. The device is supported by a slim stand that provides tilt, swivel, pivot, and height adjustments for convenient and comfortable use. The BenQ PD3220U is the refined and redesigned follow up to the PD3200U display which offers versatility for a range of professional applications. This new model sports improvements in both it’s physical design and capabilities which will enable it to be easily adaptable in studios and offices. This model also offers a broader array of capabilities than the PD2700U for a higher premium cost. The BenQ PD3220U sports a 32-inch IPS panel with a 3840 x 2160 resolution, 60Hz refresh rate, and 5ms response time. A contrast ratio of 1300:1 and a WLED backlight with a 350cd/m2 out are also included in the spec sheet. The panel used includes 10-bit color depth support, enabling it to produce up to 95% DCI-P3 coverage. The firm will include factory-calibrated presets in the BenQ PD3220U to maximize its vibrant screen and to attract designers who work on varying color formats. The product lists sRGB, Adobe RGB, and DCI-P3 filters that promise an accurate viewing experience. HDR10 compatibility is possible, but there is no mention of it as of this time. We can already tell from the specs that the BenQ PD3220U will not ship with a FALD unit which has a higher illumination yield. This dictates that the model will be able to accept HDR10 signals, but it won’t be able to fully utilize it to produce HDR visuals. One of the most significant changes on the BenQ PD3220U is the aesthetic design which has transcended from the old industrial, matte black look. The display is now borderless so users can maximize the 32-inch in screen’s viewable space. The adjustable stand with a metallic finish uses a telescopic design to adjust height, plus it allows tilt, swivel, and pivot for convenience. But the critical improvement for the BenQ Pro Designer PD3220U is it’s I/O layout which now includes a USB-C Thunderbolt 3 slot. The connector can deliver up to 85W of charging power for mobile devices while handling the incoming 4K signals with aplomb. Other standard connectors included are DisplayPort 1.4, dual HDMI 2.0 slots, and three USB 3.0 ports for accessories. The package will also ship with a wired remote that is basically a modified S-Switch Arc for easy OSD manipulation and control. We loved this gadget for the convenience and novelty it brings to a premium package without forgoing true functionality. 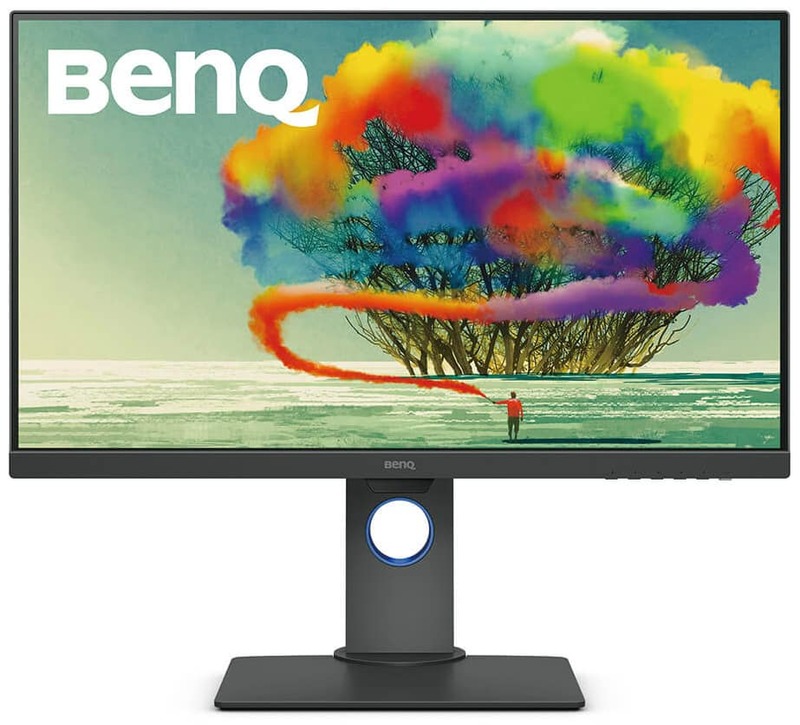 Editor’s Note: The BenQ Pro Designer PD2700U is now available for pre-order on retailers with a $539.99 launch price. 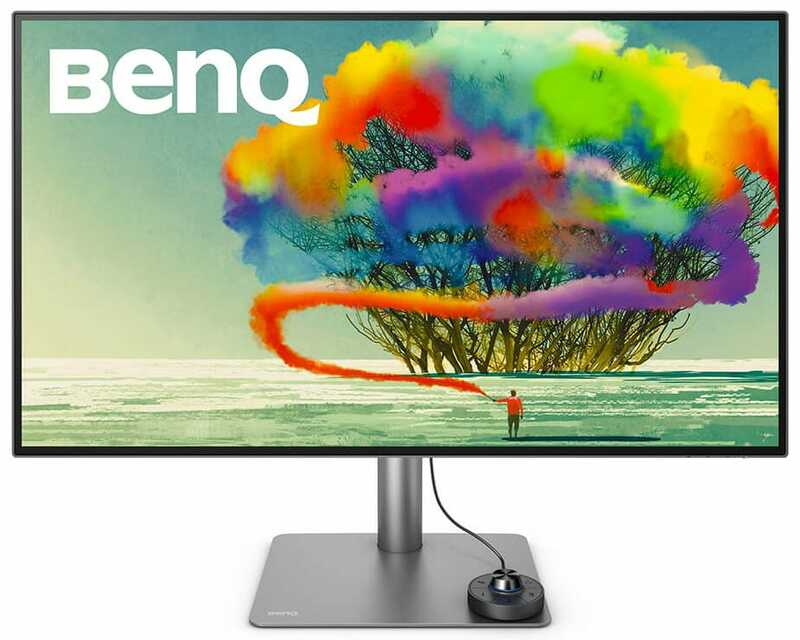 On the other hand, the BenQ Pro Designer PD3220U’s release date and the price is still forthcoming, so keep watching this space for the latest updates if you are interested. You can also check the BenQ PD2700U and the PD3220U’s official pages by clicking the links provided.